Put yourself in this situation: you are coming out of the school after a difficult day, where you are just excited to go home and relax. 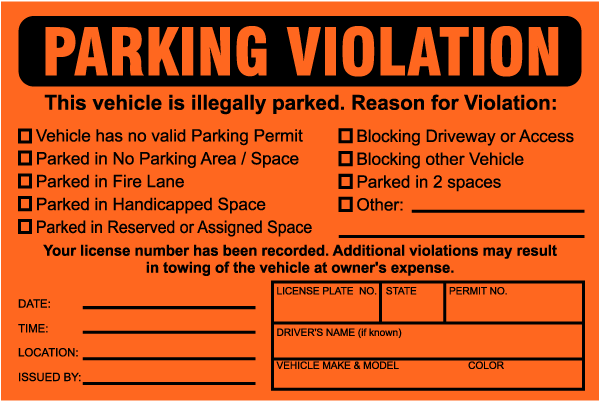 But wait, there is one more grueling, obnoxious thing to take care of: your parking ticket. The ticket feels pointless, and a ten dollar fine feels a lot more of an obligation than the teachers might think because you are a typical high schooler that isn’t exactly made of money. Why did you have to go through this simply for parking in two spots, which you likely did accidentally? Paying for the parking ticket will be rough enough, but little do you know simply tearing the parking sticker off of your car is going to be just as much of a pain. Before you are aware of just how tough it is to get off, you think to yourself that it is just a simple sticker that can be torn off by hand. You grab the top left corner and rip down to realize it won’t be that easy. In fact, barely any of it gets off. You try it a few more times and only shave off a fraction of the sticker. You then get a little bit smarter by scraping at your window with your fingernails. Once again, a terrible idea. Ultimately, you drive home frustrated, and your parents tear into you about the parking ticket. They tell you what just about every mom or dad would say with passive-aggressive disappointment: “go get a car wash and it should come right off”. That is not what you wanted to hear. Now, in addition to the 10 dollars you owe the school, you also have to go pay for somebody to wash your car. Since you are a high school student that isn’t loaded with cash, you find the cheapest car wash in your neighborhood that isn’t “do it yourself” because you no longer trust yourself to get this dreaded sticker off. It’s still 12 dollars, doubling the total cost of this incident. And to make things worse, it doesn’t even work. After an extremely powerful wash (granted, it’s by a 12 dollar car wash, but the idea still stands), the sticker is still on. In fact, it did almost nothing to help your case. Your imagination is even making you believe the parking sticker is getting larger. You decide you’re just going to get started on your homework and deal with the sticker later. The rest is history. Weeks later, and the sticker is still stuck on the corner of your side window. These parking stickers are a problem in our school. In fact, they are borderline vandalism. If a student were to put a sticker of the same material somewhere in the school, that could go on their record. So why then is Skyline allowed to put these on your cars? One might argue that these students are parking illegally anyways, and this will teach them not to park that way. But that is just not a fair assessment. We are talking about kids who have been driving no longer than 2 years. It’s a simple fact that mistakes are going to be made, especially when parking. And it is totally fine to have a ten dollar ticket to pay because students should learn to park correctly.Even in the real world, most places will just place a receipt on the windshield of your car. What is the point of putting a sticker on the car that is impossible to get off?